It’s now halfway through 2015, whaaaaaat? I thought it was time for another list of the books I’m most looking forward to for the rest of the year. This is another top ten tag for The Broke and the bookish (don’t they do good stuff?). Katie is a fellow debut author with my publisher Walker Books, and her novel comes out a few weeks before mine. I’m absolutely dying to read it – and look at that stunning cover! Six ‘friends’, one flat, big dreams…what could go wrong? When sixteen-year-old Anna drops out of school and moves to Liverpool, she feels like her life has finally begun. She’s working for an exciting theatre company, she’s living with some students that she hopes will become good friends in time, and their house is cute (if not slightly run-down) and on a buzzing street lined with shops, bars, and buskers. But although her new life is fun, it’s also a little overwhelming. And although Anna’s housemates seem to be a gang of firm friends (a gang that doesn’t really seem to include her) they’re also a little mixed-up, and soon Anna can’t resist the idea of blogging and tweeting about her experiences, from the hilarious to the ridiculous to the little-bit-scary. Online gossiping doesn’t count, right? But when Anna spills a bigger secret than she can handle, suddenly the consequences are all too real. 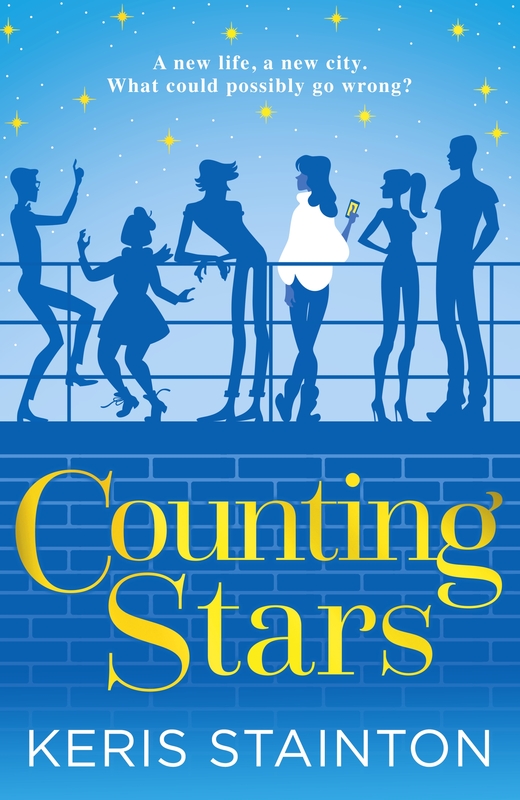 She’ll have to prove she has the mettle to make it in the big city, or risk losing everything she thinks she wants. Recently I posted a list of things I want to read in YA, and at the top of that list was University settings. Lo and behold, Keris has provided! I’m very excited for this, it sounds amazing. And it’s Keris’ first YA book too! Set in the same universe as Take Back the Skies, which had an ending which ripped my soul out, this is about different characters. I’m really excited to jump back into the world! This morning, Kady thought breaking up with Ezra was the hardest thing she d have to do. This afternoon, her planet was invaded. The year is 2575, and two rival megacorporations are at war over a planet that s little more than an ice-covered speck at the edge of the universe. Too bad nobody thought to warn the people living on it. With enemy fire raining down on them, Kady and Ezra who are barely even talking to each other are forced to fight their way onto one of the evacuating fleet, with an enemy warship in hot pursuit. But their problems are just getting started. A deadly plague has broken out and is mutating, with terrifying results; the fleet s AI, which should be protecting them, may actually be their enemy; and nobody in charge will say what s really going on. As Kady hacks into a tangled web of data to find the truth, it s clear only one person can help her bring it all to light: the ex-boyfriend she “swore” she d never speak to again. 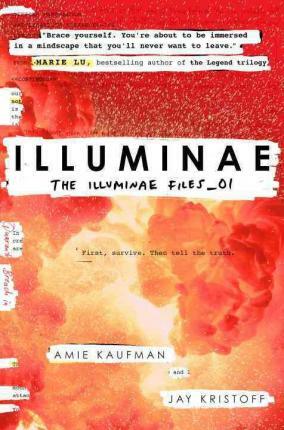 Told through a fascinating dossier of hacked documents including emails, schematics, military files, IMs, medical reports, interviews, and more “Illuminae”is the first book in a heart-stopping, high-octane trilogy about lives interrupted, the price of truth, and the courage of everyday heroes. Epistolary sci fi break up story? YES PLEASE. I’m going to be all over this one. 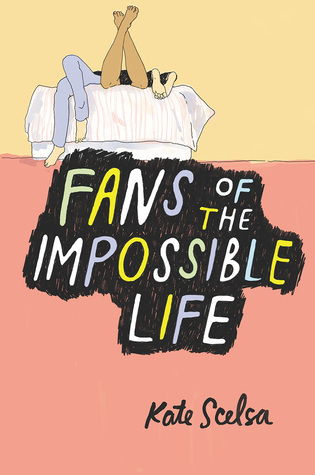 Fans of the Impossible Life is the story of love, loss, growing up and the magic – and terror – of finding friends who truly see the person you are and the person you’re trying to become. It’s a story about rituals and love, and of those transformative friendships that burn hot and change you, but might not last. SEBBY seems to carry sunlight around with him. Even as life in his foster home starts to take its toll, Sebby and his best friend Mira together craft a world of magic rituals and impromptu road trips designed to fix the broken parts of their lives. MIRA is starting over at St. Francis Prep. She promised her parents she would at least try to pretend that she could act like a functioning human this time, not a girl who can’t get out of bed for days on end, who only feels awake when she’s with Sebby. JEREMY is the painfully shy art nerd at St. Francis who’s been in self-imposed isolation after an incident that ruined his last year of school. When he sees Sebby for the first time across the school lawn, it’s as if he’s been expecting him. As Jeremy finds himself drawn into Sebby and Mira’s world, he begins to understand the secrets that they hide in order to protect themselves, to keep each other safe from those who don’t understand their quest to live for the impossible. 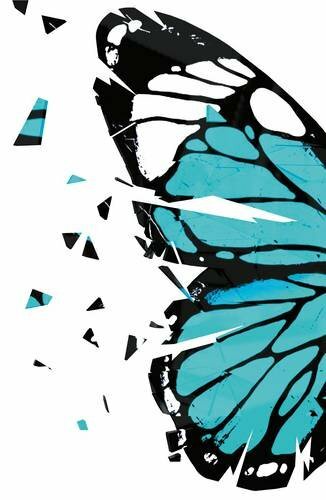 This just sounds straight up amazing, and it’s another thing off my YA wishlist – a love triangle that isn’t girl – boy – girl. Whoo! It’s just another day of high school for Zack Lightman. He’s daydreaming through another boring math class, with just one more month to go until graduation and freedom-if he can make it that long without getting suspended again. Then he glances out his classroom window and spots the flying saucer. At first, Zack thinks he’s going crazy. A minute later, he’s sure of it. Because the UFO he’s staring at is straight out of the videogame he plays every night, a hugely popular online flight simulator called Armada-in which gamers just happen to be protecting the earth from alien invaders. But what Zack’s seeing is all too real. And his skills-as well as those of millions of gamers across the world-are going to be needed to save the earth from what’s about to befall it. Yet even as he and his new comrades scramble to prepare for the alien onslaught, Zack can’t help thinking of all the science-fiction books, TV shows, and movies he grew up reading and watching, and wonder: Doesn’t something about this scenario seem a little too…familiar? Ready Player One was a book I wasn’t expecting to like as much as I did, and it completely took me by surprise. So I am very, very ready for the next by Cline. Night Vale is a small desert town where all the conspiracy theories you’ve ever heard are actually true. It is here that the lives of two women, with two mysteries, will converge. Nineteen-year-old Night Vale pawn shop owner Jackie Fierro is given a paper marked ‘KING CITY’ by a mysterious man in a tan jacket. She can’t seem to get the paper to leave her hand, and no one who meets this man can remember anything about him. Jackie is determined to uncover the mystery of King City before she herself unravels. Diane Crayton’s son, Josh, is moody and also a shape shifter. And lately Diane’s started to see her son’s father everywhere she goes, looking the same as the day he left years earlier. Josh, looking different every time Diane sees him, shows a stronger and stronger interest in his estranged father, leading to a disaster Diane can see coming, even as she is helpless to prevent it. Diane’s search to reconnect with her son and Jackie’s search for her former routine life collide as they find themselves coming back to two words: ‘KING CITY’. 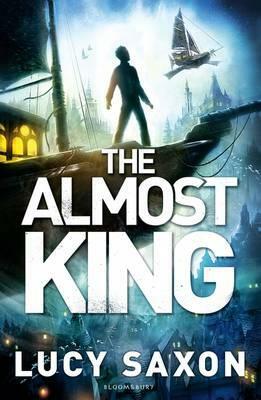 It is King City that holds the key to both of their mysteries, and their futures …if they can ever find it. I’m a big fan of the podcast, and I’ve been to see the liveshow (and I’m going with my friend Alice again this year!) so I’m very interested to see how they translate the unique format of the podcast into a book. I’m not sure I’m going to enjoy it quite as much, but I’m holding my breath. I think this is going to destroy me, and I can’t wait. Daisy Wells and Hazel Wong are taking a holiday on the world-famous Orient Express. From the moment the girls step aboard, it’s clear that each of their fellow first-class passengers has something to hide. Even more intriguing: rumour has it that there is a spy in their midst. Then, during dinner, there is a scream from inside one of the cabins. When the door is broken down, a passenger is found murdered, her stunning ruby necklace gone. But the killer is nowhere to be seen – as if they had vanished into thin air. 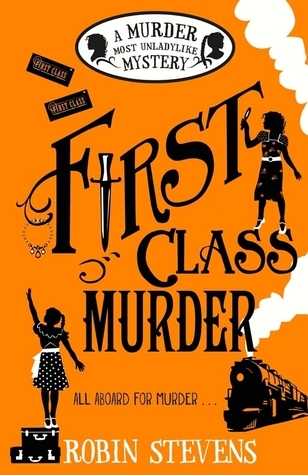 Daisy and Hazel are faced with their first ever locked-room mystery – and with competition from several other sleuths, who are just as determined to crack the case. This is the new Wells & Wong mystery, and I. need. it. I loved the first two (it’s the perfect mix of Enid Blyton, Agatha Christie and Jeeves & Wooster) and I’m sure I’m going to whizz through this one too. No, only kidding! I never want to read this again, now I’ve finally finished edits. What? Whaaaaaat? This sounds like basically the craziest, best thing ever. I am going to read this in one day, I know it. So that’s my top ten books! I wish I could read them all right now! 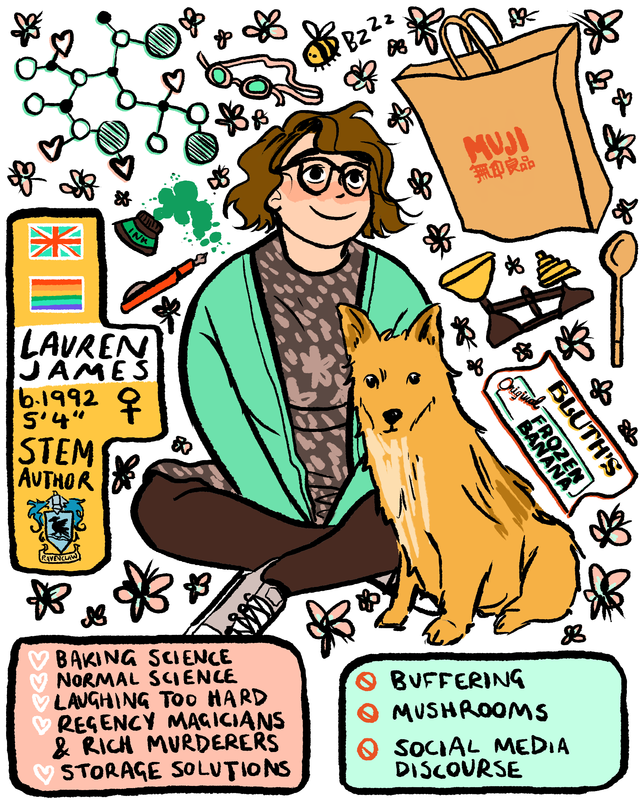 This entry was posted in book recommendations on 09/06/2015 by Lauren James. I love your choices! I cannot wait to get hold of Illuminae and First Class Murder! 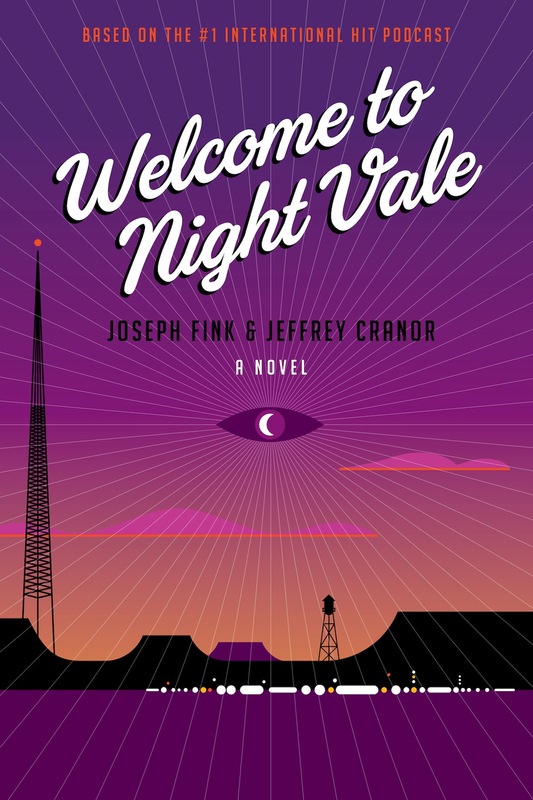 I hadn’t heard about the book for Welcome to Nightvale. I’m really curious to see how they try and translate it into a book, that’s quite a challenge! There are so many incredible books being released over the next few months. I know! I’m so intrigued by it!